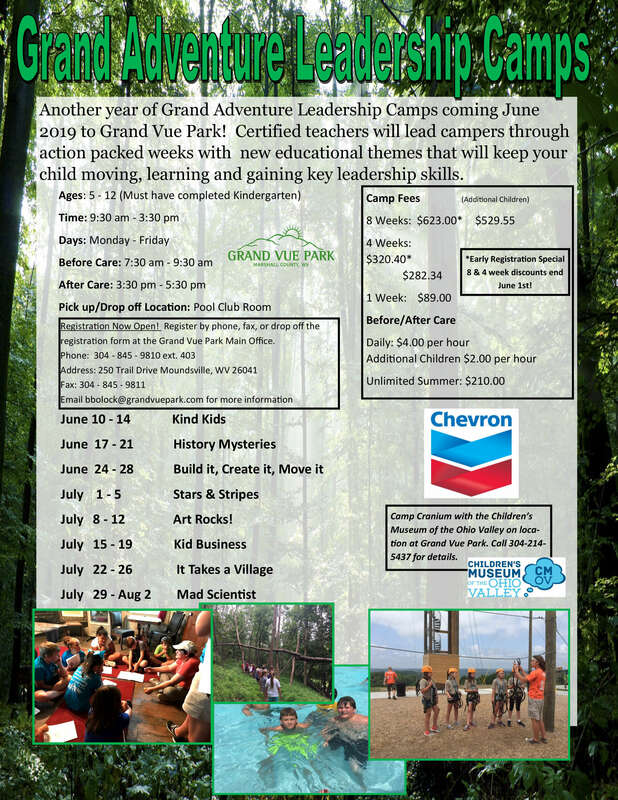 Grand Adventure Leadership Camps coming June 2018 to Grand Vue Park! Certified teachers will lead campers through action packed weeks with different educational themes that will keep your child moving, learning and gaining key leadership skills. If you are interested in registering for a Day Camp at Grand Vue Park, start the process today. You can reach us by phone or book online by clicking the link below.